Animals are living creatures that do not rely on photosynthesis for the production of energy. Animals need oxygen to breathe (not all plants do). Animals ingest other animals or plants to generate energy. Animals have a central nervous system. Mammals are vertebrates with hair and almost always four legs. Birds are vertebrates , that lay eggs and have feathers and a beak. Amphibians are ectothermic (cold-blooded) vertebrates , that live on land and in the water. Reptiles are ectothermic (cold-blooded) vertebrates that creep along. Fish are vertebrates , that lay eggs live in water and breathe with gills. Insects are invertebrates that have an exoskeleton (chitin). Arachnids are invertebrates with eight legs. Invertebrates are mollusks, crustaceans, sponges and worms. The simplest of all living creatures are single-cell organisms that are able to breathe, grow, and breed. Animals have developed from single-cell organisms over a period of millions of years. Just like human beings, they consist of many different cells, which perform a broad variety of tasks, such as the formation of bones and muscles. The family tree shows how animals have developed from single-cell organisms. It also gives you a rough idea of which animals are more closely related to each other. • Animals can move, plants can’t. This applies to most cases, although there are exceptions. Corals are so-called “sessile animals” and do not move away from their cliff or their spot on the ground during their entire life. There are also plants which are able to move: When you touch the tropical Mimosa pudica, it instantly folds up all its leaves. This is why oversensitive people are sometimes called “Mimose” in German. • Animals eat other animals and plants. Plants do not eat animals. Yes, animals can be carnivores and/or herbivores. Plants use their roots to collect nutrients from the soil. Their metabolic processes are based on photosynthesis (light and oxygen). Yet, there are also carnivorous plants such as the Venus flytrap, which feeds on flies, ants, and spiders. For a better understanding, animals are sorted into different categories such as animal species, animal families, and animal genera. The categories explain the genealogy of the animals and help to identify them. Please have a look at the dromedary to find out more about the terms and meanings of the categories. The dromedary is a mammal, just as primates, kangaroos, rabbits, horses, elephants, dogs etc. Apart from dromedaries, giraffes, hippos, stags, goats, and antelopes etc. are also even-toed ungulates. The animal family of the camelids includes the New World camelids and the Old World camelids (such as the dromedary). The genus of the Old World camelids comprises two animal species: the dromedary and the Bactrian camel. Did you know that there are nearly 30 different squirrel species? The best known is the european squirrel. But there are also fox squirrels, palm squirrels, rope squirrels and many more. 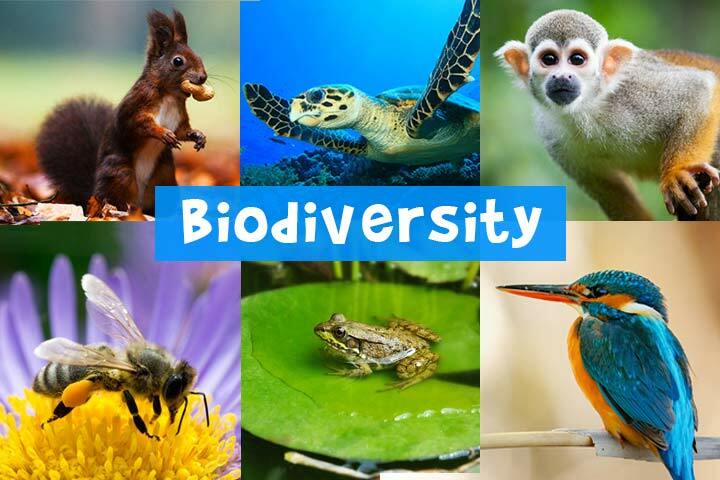 More about biodiversity.